Orange-clad postal workers are expected to hit the streets next year, putting the state-owned Royal Mail under pressure. 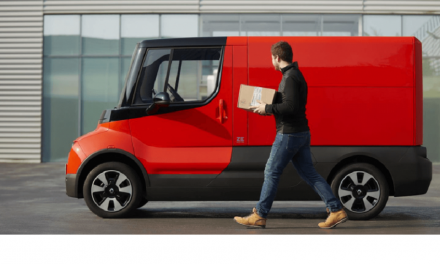 TNT, a subsidiary of the privatised Dutch postal group, says it wants to send postmen and women wearing orange uniforms – TNT’s corporate colour – out to deliver mail to homes and workplaces in selected cities. The company already handles more than 5 per cent of UK mail, through contracts with business customers to collect and sort their post before handing it overfor delivery by Royal Mail under so-called “downstream access” arrangements. 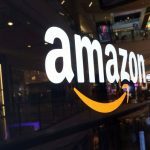 Nick Wells, chief executive, said the company had adopted a dual strategy of using downstream access while developing its own collection and delivery service. One year after the introduction of full competition in the UK’s postal market, everyone appears to be a winner. Customers are benefiting from record levels of service and big business mailers are enjoying substantial savings in costs. Eighteen new postal operators have been licensed and have seized a bigger share of the market than the regulator expected, handling more than 10 per cent of the mail. Royal Mail remains the dominant force in the industry despite losing its monopoly. Its competitors hand over most of the mail to the state-owned operator for final delivery, leaving it with 97 per cent of postal revenues. The state-owned operator is on course to meet all 12 of its performance targets for the first time in the 2006-07 year – these require it to deliver 93 per cent of first-class mail on the next working day and 98.5 per cent of second class mail by the third working day. Two years ago, only four of the targets were hit. The greatest benefits have accrued to the biggest mail users, which include banks, utilities, local councils and charities. Businesses account for 87 per cent of the more than 20bn items sent each year, with 500 companies providing half of all mail volumes. DHL Romania, the local branch of U.S. delivery company DHL, expects its turnover to grow 21 pct on the year to over 20 mln euro (USD26.33 mln) in 2006, the company’s commercial director Bogdan Obretin said on December 29, 2006. The company reported a turnover increase of 21 pct year-on-year for the first three quarters of 2006 due to consolidation of its position as supplier of complex logistics solutions, Obretin said. DHL Romania competes in the country with international delivery companies TNT Romania, a subsidiary of Dutch TNT Express, Couriers Service, an authorised representative of U.S. delivery company UPS and U.S. Fedex, as well as domestic companies Fan Courier, Cargus, Alo Curier, Concorde and Pegasus. A test of Norway’s postal service Posten revealed that their service falls far short of requirements. 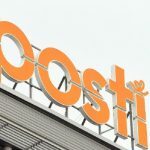 Posten’s license conditions demand that they deliver 85 percent of all post by the day after a letter is sent. A recent test of 342 letters showed that the company only manages to get half of letters sent to their destination on time, newspaper Nationen reports. The newspaper’s test found that one of the letters went missing, one took a week to arrive, and only half made it to their target in Norway the next day. The Posten’s information chief Robert Morberg had no excuses to offer. “We apologize. This is not how it is supposed to be,” Morberg said. Morberg said that the results were due to problems with changes resulting from the company having gone over to using their own freight planes, and that ongoing measures were steadily improving results. Nationen carried out the test using 19 persons, a combination of mayors and associates of the newspaper, sending 19 letters to each other. Northern counties Finnmark and Nordland had the worst delivery record, with Askim and Oslo posting the best results. Postcomm has today issued a new licence to DHL Global Mail (UK) Limited, to come into effect on 1 January 2007. DHL Global is the new name for Mercury International Limited, with the change also taking effect from 1 January 2007. The licence takes into account the requirements of the new licensing framework that came into force on 1 January 2006. DHL Express Russia continues its strong performance with YTD revenue growth nearly 50% in 2006, with shipment volumes increasing by 30% in the same period. Our Russia business continues to go from strength to strength; our strategic initiatives are successfully supporting the continued expansion of our business and increasing our market leading position said Mark Jordan, Commercial Manager DHL Express Russia. DHL Russia reports an expected increase in shipment volumes of more than 30% in 2006, compared to the same period in 2005 and this continues the high growth trend of its business. DHL Russia continues to expand its domestic road network, connecting key economic and fast growing centres of the country, to provide customers with fast and reliable, door-to-door delivery and supply chain solutions. This also includes direct road linkages with major European countries and cities. Six new Service Points have been opened in 2006, in Moscow, St. Petersburg and Yekaterinburg. In 2007 we plan to open over 20 new Service Points in Russia’s largest cities, and further invest in excess of EUR 15 million into developing our Service Point network over the next 3 years. The DHL Express business has shown double-digit growth both in domestic and international business and DHL in Russia expects this strong growth performance to continue. One year on from full liberalisation – UK customers and operators are rising to the challenges. 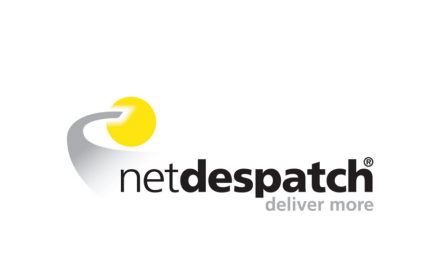 Postcomm has hailed the first year of full competition as a promising start but warned there are more challenging times ahead for postal operators. “Full competition is off to an encouraging start in 2006 with 18 new operators now in the market. 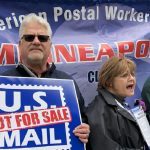 Many large mailers, both in the private and public sector, have switched to new operators who they have found to be reliable and sensitive to their specific needs. Everybody has benefited because, in response to competition, Royal Mail has delivered record service levels. “Mail is a challenging market because it is being impacted by e-substitution and is price sensitive, particularly with direct mailers, who account for nearly a fifth of the market as they have other ways by which to promote their products and services. However, we believe there is more scope for all postal operators to introduce innovative products which will be valued by customers. The payment service for bills and services that are not paid by direct debit, through the network of over 2,000 computerised Correos post offices located throughout all of Spain, has grown by over 68% this year, compared to the previous year. During 2006, over three million bills (3,230,000 to be precise) were paid at post offices all over Spain: over a million more than in the previous year. Correos has been offering its bill payment service since 2004. With this service, citizens can take advantage of the closeness of a post office, of its long customer service hours (from 8:30 am to 2:30 pm in offices with morning opening hours, and from 8:30 am to 8:30 pm for those with continuous opening hours, or until closing time at the department stores when they are located in a shopping centre) to pay these bills or invoices in the same place in which they can also complete several other transactions or access telecommunication services. Furthermore, during holiday periods, this service enables customers who travel to other areas and who do not pay their bills by direct debit, to pay their bill at any post office. Likewise, throughout the year, owners with holiday homes can pay their bills at any Correos branch, even if it is not in the town where the home is located.